5-Minute Breather • Run Hard. Rest Well. It is in my nature to eyeball grocery store checkout lanes to calculate the fastest one . . . because minutes matter to me. Time, specifically – time set apart to rest, is the first thing God called holy. It is in His nature to eyeball my hurry, my distraction, my overload and invite me to a quiet five with Him. When I need to “Take 5,” I usually head outside, but that is not always possible. I recently found a new tool, thanks to Alan and Gem Fadling, the founders of Unhurried Living. Could you use a quiet five right now or sometime today? 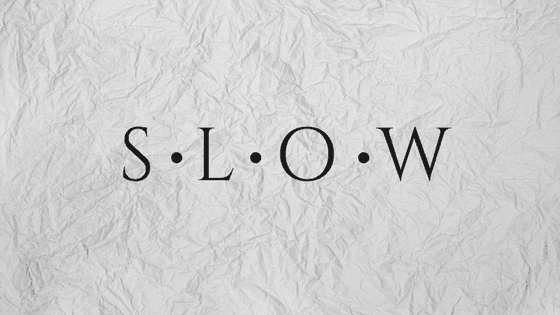 Hit pause from the whirlwind and hit play for a quiet, reflective 5-minutes with Jesus called S-L-O-W. Looking for more great tools and resources? Check out their website! I also found a website called Abide. They have structured meditations and you can just listen to music play. I am so bad!!! Even when I listen to things, I am often doing something else. I really need to….not slow….but stop. Stop doing multiple things when I really need to concentrate on God. How can I hear, if I don’t listen? God, forgive me. Help me stop all the things around me and focus on You alone! I can’t do it on my own. Thank You for the gift of the Holy Spirit to help me.